In the last three seasons I have successfully picked teams before the preseason that would be in the Super Bowl. 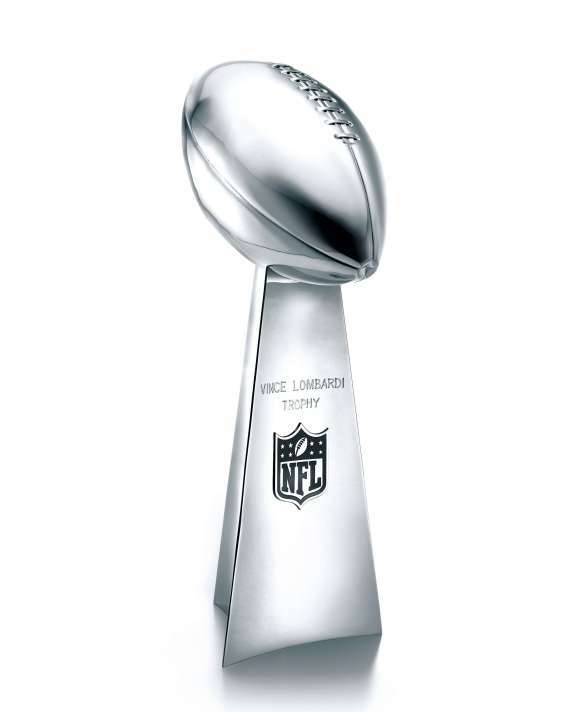 I never picked who would win those Super Bowls except one time, the only time I did so, was when the Packers won against the Pittsburgh Steelers. That year though, I had the Packers would defeat the Baltimore Ravens 13-7. No matter what year it was, we all knew that Ravens, Patriots, and Steelers would be on top of the list making it to the big dance. However, those teams totally look different now don’t they? In my opinion the Patriots will struggle to put points on the board and the Ravens defense will have problems getting off the field. So looking at the Steelers roster, what bothers me will be if the Steelers can put points on the score board just like the Patriots issues. I just don’t really know if there is a home run hitter in the wide receiver corp. Some fans truly believe that Antonio Brown is better than Mike Wallace but I would have to argue and say that Wallace was double team a lot of games. So my question would be “Can Brown and Sanders be able to open up the passing game and allow our running backs to run the ball?” My heart don’t know the answer, but I don’t feel the passing game will be as good as it was and the deep threat will not be there which means we will have to have third down and long. That is not good for an offense that really could have some issues in the passing game. The two teams that I really believe that can put up the numbers with scoring and both really do have great quarterbacks are the Atlanta Falcons and the Denver Broncos. Even with the suspensions of Von Miller and other issues, like Wes Welker catching on the playbook truly does not bother me. I really think that Peyton Manning can control the offense and the defense can take care of itself. Matt Ryan is not known for winning the big game but the duo of Julio Jones and Roddy White is by far the best in the game has right now. Again, just like Denver defense the Falcons defense will be ok and take care of itself. I look for a shoot out season by both teams and being able to torch the opposing team defense. If you remember right the Falcons almost beat the 49ers. These two teams would be a great fit for a Super Bowl. The last time they met was on 9-17-2012 and the Falcons beat Denver 27-21. The Falcons intercepted Manning three times in eight minutes. That would be different of course this year! So my two teams for this year Super Bowl will be Denver Vs Falcons. These words above Steelers Nation are from our player, Cortez Allen. A man that I am starting to know. The more and more I know of him, I am proud to know him. He has been so humble, so kind, and so honest. I think if your kid is looking for a role model, this man Cortez Allen would be it. We all are sinners, and it is hard to tell the truth about what we have done in the past, and what we did to hurt ourselves. Everyday we will have to fight our battles of who will win that day. 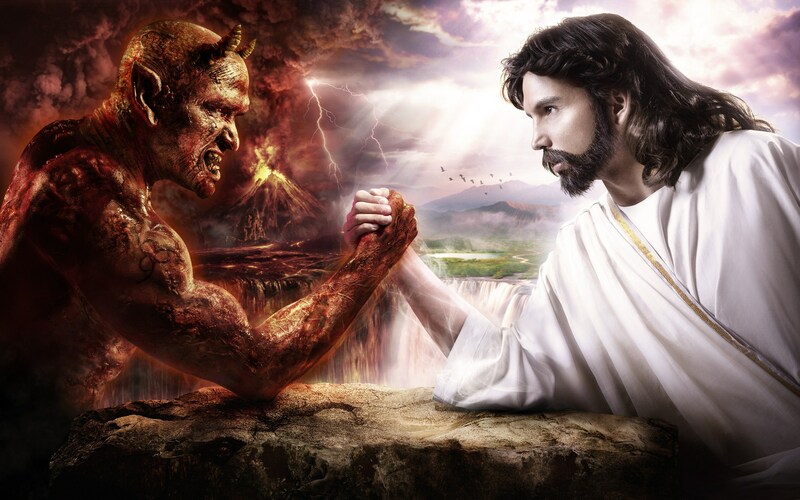 Will we let temptation and the devil win or will we walk with Christ. Like Allen said above he decided to make Christ his strength and lean on his words. I have to love that statement! If we take time out and just listen in a quiet room, we can hear God talk to us. He talks to our heart. My heart is telling me that Allen is not just a football player, but a man walking with Christ. 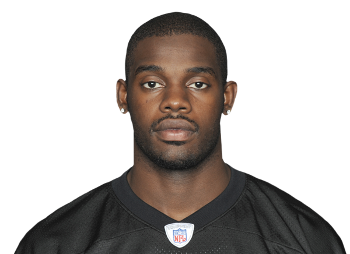 So what do I think when I picture Cortez Allen playing for this season with the Pittsburgh Steelers? I think about “Heads up and enjoy the show” of him forcing numerous turnovers and making offense think twice about throwing his direction. I believe Allen could be a top notch cornerback for years to come. Who is Cortez Allen? Allen was born October 29, 1988 and went to North Marion High School in Citra, FL. Allen played varsity football only in his senior year and also ran on the track and field team. Allen earned all-state and all-city football honors in his one year of varsity football and was part of the 2005 regional championship team. Allen would go on to college and play football at The Citadel. The Citadel is a military college that is a very small school with an average of around 3,540 students that attend the college. Allen credits the four years of college to teaching him time management, discipline, and attention to detail which would carry him to exceed in the NFL. Allen has the speed and smarts to be elite and while at college he recorded 120 tackles, 5 interceptions, and 2 touchdowns. His very first interception resulted in a touchdown. Allen stated that some people say that corners are wide receivers that just can’t catch, and when he gets an interception he wants to prove them wrong by catching the interception and take it in for a touchdown. The 2012 season would prove to be a different year for Allen, who quickly became a prominent member of the Steelers’ secondary who contributed to limiting passing yardage and forcing turnovers. 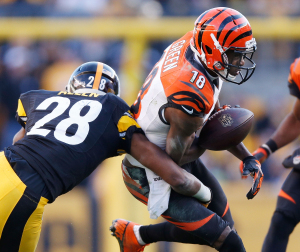 In week 16, Allen intercepted Cinncinnati’s Andy Dalton twice and forced two fumbles by A.J. Green. The next week against the Browns, Allen forced two fumbles that the Steelers recovered which resulted in Steelers offense scoring touchdowns. My opinion, and what I have been saying is that Allen will be a jumper like Troy Polamalu. You will always have people saying that would be wrong to do and is harmful and that Polamalu gets beat because of it, but at the same time how many games have Polamalu won because of his instincts? Allen will be smart and attack the ball which will cause more turnovers. I had respect for Keenan Lewis and I thought he did good but the difference like I said in a previous blog is that Lewis knocked the ball down, Allen will jump up and intercept the ball. What I love about Allen is that he is a man that counts his blessings. A man of great character. Allen said that you never take for granted the gift and the blessings that were given to you to play this sport. He stated that if he could speak to student athletes he would tell them never to settle, to go 100% because this opportunity can be taken from you. You can best believe that Allen will always give 100% for every play. He is such a humble and kind man and he loves to chill. In his free time he loves to hang out with friends and play Call of Duty Black-Ops on playstation 3. I am a fan of Allen and I hope you are as well. I really believe he will be a household name where Steelers fans will be saying “Heads up and enjoy the show.” Anytime the defense is on the field, you will be thinking that at any given moment Allen will make an impact play that will turn the game around. Who has done that for many years for us? That was Polamalu, and now Allen will be doing the same thing! Go get your CORTEZ ALLEN “#28” Jersey now! **NOTE IF HEATH MILLER IS NOT ABLE TO START THAT WOULD MOVE MATT SPEATH AS THE STARTER AND DAVID PAULSON AS THE SECOND STRING BACKUP. LET’S HOPE THE UNDERRATED STAR HEATH MILLER IS ABLE TO PLAY FROM THE START. Offense Notes: I look for Le’Von Bell to get tons of carries which will open up the passing game. Something we didn’t have last year. What worries me the most though is size. Will Antonio Brown and Emmanuel Sanders be able to be physical enough at the line of scrimmage to break away from the cornerbacks? Do they both have the size to jump up and get the ball? That is why I am hoping Marcus Wheaton can step up and learn the playbook to add size for Big Ben. Defense Notes: Jason Worilds and Cortez Allen have been on my mind since March. I really believe in their talent. I really think they will put the opposing offense on their heels. With Worilds and Woodley coming off the edge the opposing quarterbacks will sometimes rush some of the throws and Cortez Allen will intercept the pass. I look for Allen to be AFC player of the week in numerous weeks. The defense will hold opposing teams on the rushing yards which will make them pass the ball and our defense will be ranked number one again. Last year key injuries really hurt us bad. We did not lose games by blowouts. We were contenders in all the games we lost. We just need to stay healthy and believe in one another. We also need somebody to step up and be vocal. When we lost James Farrior and Hines Ward we truly lost guys who could give leadership. I look for Ryan Clark and Ben Roethlisberger to become the vocal leaders of this year’s team. Experts were discussing that we need somebody to take the ball away from the opposing team like Troy Polamalu does. His leadership never goes unnoticed, and even though he is not the vocal type he leads by example on the field. I really hope this is not his last season, but we all know it’s a possibility. I honestly think we can win at least eleven games this upcoming season. I hope you feel the same! 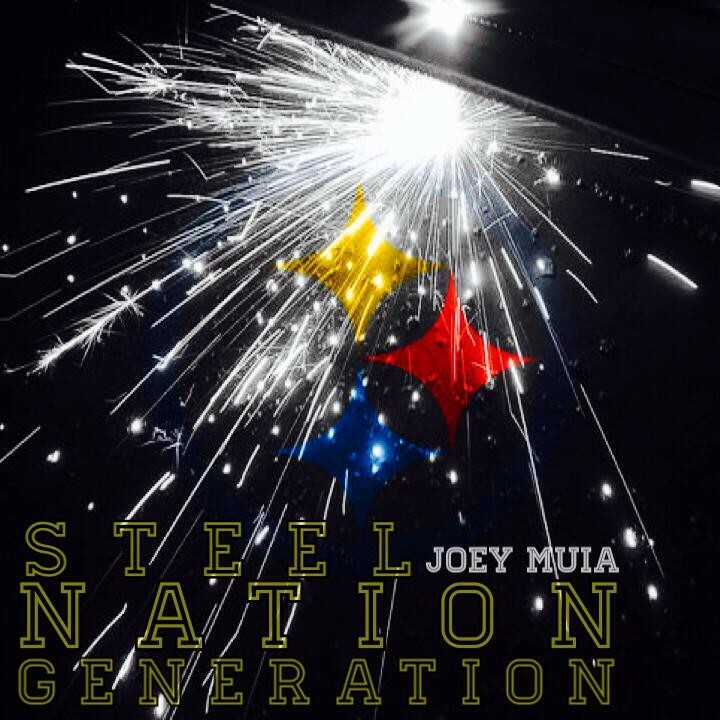 One team, one love, Pittsburgh Steelers!!! !